at your next Club meeting? Plan a presentation or an activity! Publicize it well and ahead of time and you're sure to draw out some people - new faces as well as old. Thanks to Drew Moore W2OU for arranging for Mike Terruso WA4LOQ to come to our ETS of NJ meeting last Friday evening to talk about his high altitude ballooning experiments. What started out as a science project for his son is turning into a combination of ballooning and Amateur Radio for Mike. In fact, ballooning is what got Mike in gear to earn his Amateur Radio license, as he realized it's potential to help him in his endeavors. The technology that he uses is interesting. A combination of radios, cameras, Raspberry Pi's, GPS devices, temperature and humidity sensors - it was all fantastic to listen to. I've embedded his YouTube video which is a compilation of stills (taken at 5 second intervals) of his maiden launch last October. The balloon was released near Lebanon, PA and landed in Boonton, NJ. It's an hour long video, but you can skip around it if you wish to see the "near space" photos which clearly show the black sky of space and the curvature of the earth's horizon. As Mr. Spock would say - "Fascinating!" Mike is a "maker" in the sense that he did all his own research and started his project from scratch using materials purchased and/or cobbled together on his own. His next launch is scheduled for sometime in May. He is going to add Amateur Radio to the mix this time and will be getting cooperation from the local radio clubs in tracking and recovery. QRPTTF 2015 - First Announcement! Living in New Jersey makes filling the requirements of this theme a snap! "The river has served an important water transportation route since the Pre-Columbian era. The name Raritan is also applied to the Raritan people, an Algonquian tribe that inhabited Staten Island, near the river's mouth." "The name Piscataway may stem from the area's original Native American residents, transplants from near the Piscataqua River defining the coastal border between New Hampshire and Maine, whose name derives from peske (branch) and tegwe (tidal river), or alternatively from pisgeu (meaning "dark night") and awa ("Place of") or from a Lenape language word meaning "Great Deer". "The original inhabitants of the Watchungs, the Lenape, referred to the mountains as the Wach Unks, or ‘high hills’. Evidence of the Lenape presence in the Watchungs can be seen in numerous camps sites that have been uncovered, mainly along the rivers coursing through mountains and in the small caves abundant in the volcanic rock. It is thought the Lenape favored the Watchungs for their profusion of natural resources, including abundant freshwater rivers and streams, a variety of forests, and plentiful fish and game. They also took advantage of the rich soils and maintained many farm areas where they raised a variety of seasonal crops." So I have plenty of places to choose from. Sometimes the themes that Paul comes up with can be somewhat of a challenge - for example, last year's "Cinco de Mayo" theme. There's not much in New Jersey that has a true Mexican connection. This year's theme is pretty easy to comply with. It's raining outside, so I haven't gone to the Jeep for any lunch time QRP. In fact, I didn't bring the radio with me at all today. Yes, I will confess, I am a bit of a weather wimp. I hate setting up antennas (yes, even the Buddistick, which is a snap) this time of the year in the rain. Not a big issue for me in the late Spring or Summer, when it's warm. But when it's raining this time of year, it just feels raw - colder than it is, even if it's a bit warmer than it has been. 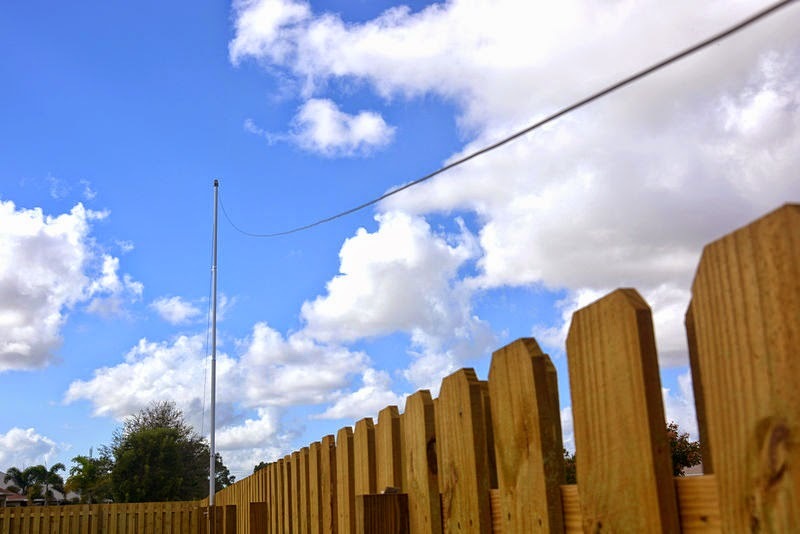 So I've been spending my lunch hour writing this post and Googling "Field Day Wire Antennas". Last year's EARCHI EFHW (Emergency Amateur Radio Communications Hawaii End Fed Half Wave) and G5RV both worked well, and more than likely, we are going to use them again. However, we have decided to add a digital station and a GOTA station, so we need to come up with two more wire configurations. The digital station will be W2OU's FT-817 and I believe we are using KD2FSI's FT-897. Both W2OU and I have PAR END-FEDZ 10/20/40 antennas. While easy to deploy and use, they would prohibit us from getting on 80 Meters and 15 Meters. I am considering as possibilities, the G7FEK or perhaps the D3+ antenna. Both seem somewhat easy to construct. As the weather gets warmer, I may have to build one of each and then take them to the local park to see (in reality) how easy they are to set up and what kind of results I can garner. K2VHW has a few disassembled multi band yagis in his garage. If he can determine that he has all the pieces and parts, we broached the concept of perhaps deploying one using an extension ladder as a "tower". That would make life a little easier for the QRP SSB guys. My goal is to keep things as simple as possible while still allowing us to get credible results. After being out in the field for 24+ hours (if you include set up), no one really wants to face the prospect of spending an enormous amount of time tearing everything apart. Come 2:00 PM on Field Day Sunday, my mind is more on a good meal and a hot shower than worrying about packing and stowing. We have ample time yet, so more investigation seems likely. Now if only I can find my copy of Bill Orr's "Simple Wire Antennas". That would help immensely! Another thing I have to do is clean the shack. I know I'm a member of the Flying Pigs QRP ARC International, but my shack has gotten out of hand. It is fast approaching sty status. It has become a dumping ground for all kinds of stuff. I need to spend at the very least, a couple of hours organizing and getting rid of some things that are just not needed anymore. Maybe this Saturday, among other things. There are just not enough hours in a day. That's maybe 20 feet or a bit less? But, whatever, it was sure doing the trick today. When he answered my CQ, I just about fell off the Jeep's back seat, he was so loud! Two nice QSOs today during lunch with really loud signals sure makes up for those tough Fox hunt QSOs from last night. We have enjoyed and appreciated your past participation in QRP-ARCI sponsored on-air contests. This announcement is to let you know about the upcoming SPRING QSO PARTY! This is traditionally one of the most popular on-air activities that we sponsor, and we would love to hear you on the air once more. Imagine hearing hundreds of QRPers on the air at once, and hearing QRPers from every US State, Canadian Province and some DXCC entities from around the world. Mark you calendars (yes it is Easter weekend, the SPRING QSO PARTY runs every year on the first full weekend in April) and get on the air for some QRP Fun! A) Date/Time: 1200Z on 4 April 2015 through 2359Z on 5 April 2015. You may work a maximum of 24 hours of the 36 hour period. H) Score: Final Score = Points (total for all bands) x SPCs (total for all bands) x Power Multiplier. A2: Multiple Element Antenna - If you are using a multi element beam, vertical array, or any antenna that has more than one driven element or uses reflective or directive elements you are in the A2 category. Mulitoperator: A multioperator effort may submit logs for a separate category. Any combination of operators and transmitters will be permitted. All transmitters must be located at a centralized location. All operators must use the same callsign in the multioperator category. Teams: You may enter as a team with an unlimited number of operators as long as no more than 5 transmitters are on the air concurrently. You compete individually as well as on the team. Teams need not be in the same location. Team captains must send a list of members to the Contest Manager before the contest. J) How to Participate: Get on any of the HF bands except the WARC bands and hang out near the QRP frequencies. Work as many stations calling CQ QRP or CQ TEST as possible, or call CQ QRP or CQ TEST yourself! You can work a station for credit once on each band. ** Please note that snail mail delivery is becoming less dependable for quick deliveries. Please send an email to contest@qrparci.org with your score summary to ensure it is included in the results. L) Deadline: Entries must be received OR postmarked on or before 19 April, 2015. If you are using snail mail for entering log entries, notify the contest manager at contest@qrparci.org with a copy of your score summary. N) Certificates: Will be awarded to the top scoring entrant in each category, as well as the top scoring entrants from each State, Province and Country. Certificates may be awarded for 2nd and 3rd place if entries are sufficient in a category. There you go, right from the QRP ARCI Contest manager, himself. Last night we concluded our Technician Class license course with a VE Exam Session. Of the fifteen students who originally started in January, ten kept with it and made it to the end. Of those ten, eight earned their licenses last night. It was gratifying to see a new class of Amateur operators emerge from all these weeks of study. The two who need a bit more study time have been invited to our next regular VE Session on April 11th. As satisfying as all that was (as if it wasn't enough), I actually made it home in time to fully participate in the 40 Meter QRP Fox hunt. Wow, wow, wow! Both Foxes, Todd N9NE in WI and Tom KV2X in NY were both 599. In fact, at times Tom was 599+. And I had the most difficult time working both of them. There was a high ambient noise level, there was also some VE SSB, and there was the SKCC monthly weeknight sprint to deal with. All those added up for a tough night of Fox hunting. Todd was first in the bag and he turned out to be the relatively "easy" catch. I nabbed Tom with about 10 minutes to go, but am not sure I can really count on his pelt. According to the log he published last night, he copied my exchange perfectly, but he had my call as W2RJO. I don't know if that was a typing error, a transcription error (from paper log to computer log - I've done that plenty of times! ), or he just didn't hear me well enough to get it correctly. If it's a case of the latter, and I'm scrubbed from the log, it will probably be the first time in over a decade of Fox hunting that I have failed to make a QSO with a 599+ Fox. Que sera', sera'! Wacky evening on 40 Meters last night, indeed, and a tip of the ol' call sign cap to both N9NE and KX2X for doing a phenomenal job with the poor hand the Propagation Princess dealt them. On April 30th, it will be ten years since the "W2LJ - QRP - Do More With Less" blog was born. Since then, I have penned over 2,200 posts and have had close to 800,000 pages read. There have been ups and downs (with some hard lessons learned along the way), dry periods as well as creative periods. Through it all, I have made a ton of friends through this blog. I hope that I have been able to disseminate some knowledge, perhaps inspired some folks on towards new and different things, and maybe even made some of you smile or laugh from time to time. All of this because of a long held passion for Amateur Radio, Morse Code, CW and QRP. So - in honor of this momentous personal occasion and in appreciation for all who read this blog, I am going to give something away to one lucky reader. 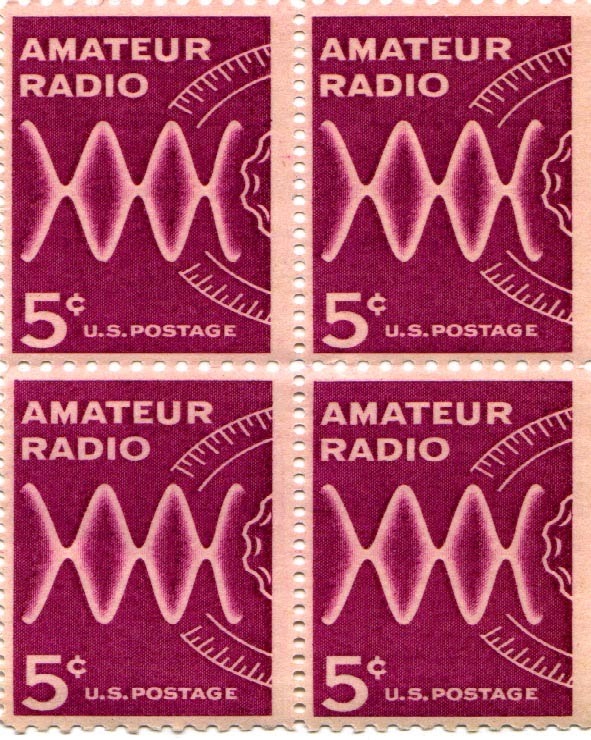 I have a new, mint condition, unused, complete sheet of fifty United States Amateur Radio stamps, issued in 1964 on the 50th Anniversary of the ARRL - Scott #1260. I am going to have the sheet matted and framed - ready for display on some deserving shack wall. All I ask is that you send an e-mail to w2lj@arrl.net - entitled "Blog Anniversary Giveaway". Include your name, call sign and mailing address. Any Amateur Radio op worldwide can enter. I will package and ship the framed stamps to any destination that the United States Post Office will accept. The names and call signs will be loaded into a software program such as RandomPicker on April 30th and a winner will be determined. The winner will be announced here, and then the framed stamps will be posted. This was purchased specifically with Field Day in mind. It's pre-owned and was a very reasonable $35. It's a 20Ah SLA and even if it has deteriorated a bit from use, it should power one of my KX3s for the entire 24 hours. At a whopping 13 lbs, this is not a battery that I will use for anything other than Field Day, or perhaps some sprints from the back yard. 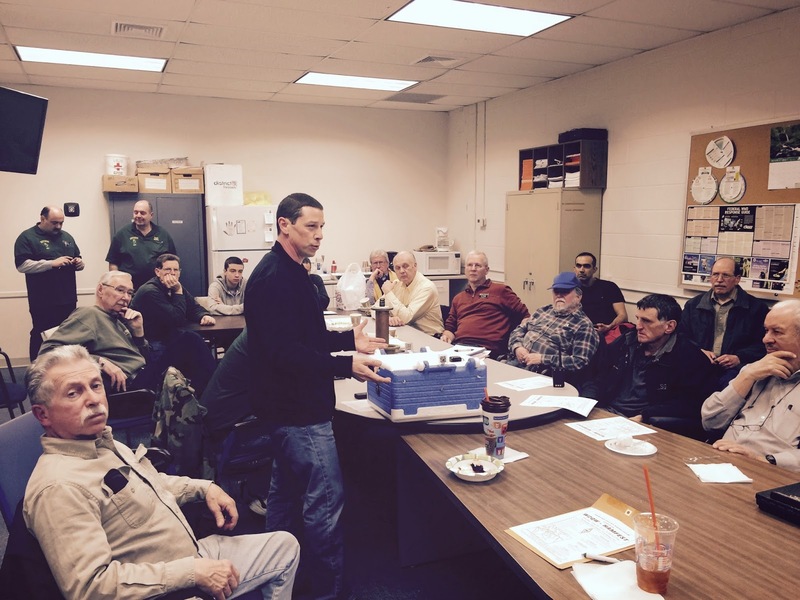 Speaking of Field Day, the South Plainfield Amateur Radio Club has gone into full planning mode. 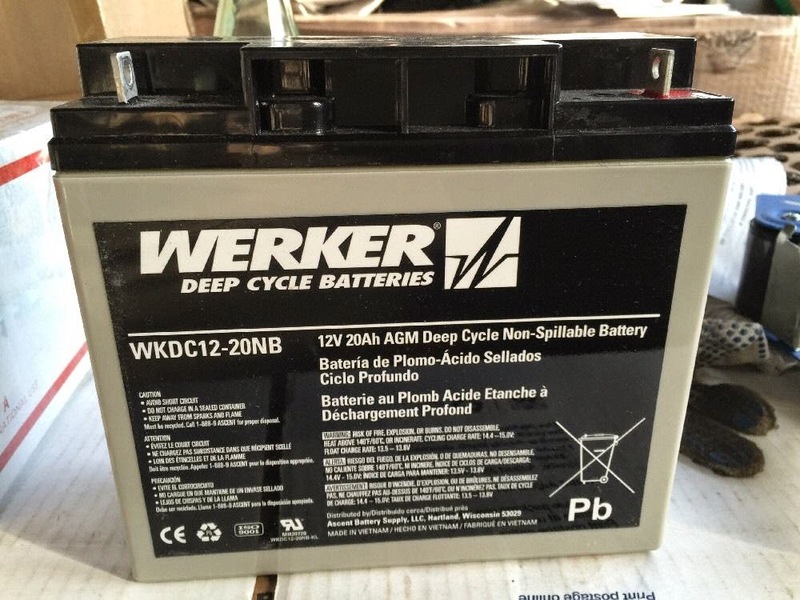 This year, we are going to switch over to the 3A Battery category and will be adding a digital staion, in addition to the standard SSB and CW stations. We will also have a GOTA station and are hoping to hold some kind of educational event for some local Boy Scout troop(s). One of our club members who has had success working the satellites is planning a satellite QSO this year. We had a planning meeting last Thursday evening and I came away excited at our prospects for this year. No matter the outcome, it's going to be fun again, that's for sure. The bands seem to be slowly coming back after last week's St. Patrick's Day solar storm. I worked S59N and EA6VQ during lunch time today, so DX is once again workable using 5 Watts and the Buddistick. I did hear 9Q0HQ on one of the bands, but very weakly. It was only 19F (-7C) when I woke up this morning, but despite that, Ol' Man Winter's days are numbered. Time to start thinking about getting the portable ops batteries charged, portable antennas ready and all that kind of stuff. It won't be long before QRP To The Field is here to kick off the official 2015 Summer Outdoor QRP season. I did manage to get 7QAA and 9Q0HQ in the log this weekend. But as it turns out, I was even more fortunate to make it into THEIR logs. "What's he saying?" you may be thinking. I worked both stations on Friday on 17 Meters. The 7QAA QSO was tricky, as there was a lot of QSB. I was pretty sure they had come back to me, but I wasn't 1000% certain. For a day or so I was sweating it, because it wasn't until sometime late Saturday evening (local time) that their online log was updated and I was able to see my call sign pop up. I was debating a second QSO, because as noted on the 7QAA Webpage, CW operations cease pretty much as of today. From here on out until the beginning of April, they are going to concentrate on SSB, RTTY with some PSK mixed in. Once I saw that I made it into the log, I was very much relieved. 9Q0HQ was a different matter. I heard them come back to me. I heard the "W2LJ 599" and I heard the "TU". I didn't even bother looking at the online log as I was so certain I was in there. Then, last night, I heard them pretty loud on 20 Meters, so I tried again. Listening to 9Q0HQ, I have been noticing that they are taking pains to work stations only once per band. I have been hearing a lot of "WRKED B4" replies coming back to calls, so I figured since I worked them on Friday on 17 Meters, then trying again on 20 Meters would probably be OK. I stayed with it and worked them, for what I thought was a second time. This time, for the heck of it, I went to the 9Q0HQ Website and checked their log. You can imagine my surprise to find that I am only in there for the 20 Meter QSO and NOT the 17 Meter QSO from Friday. Wow. I wonder what happened there? I was so certain that our QSO was valid and complete. Unless I was imagining things, I was so positive that I had heard "W2LJ 599" and the "TU" as I stated before. I can't imagine why that QSO is not in the log. At any rate, I am grateful for the two ATNOs. Going forward, though, I am going to be checking ATNO online logs if at all possible. I am very grateful for what I thought was a second QSO which turned out to be a first! "Bencher, Inc. of Antioch Illinois announced the sale today of the Bencher Amateur Radio product lines to Vibroplex, LLC of Knoxville, Tennessee. This sale ends Bencher’s presence in the amateur radio field, thus allowing the principals, Jere Benedict, President, and Bob Locher, (W9KNI) to move towards retirement. The product lines sold include the Bencher BY series of Iambic Paddles, (the world’s best selling iambic paddle, with over 150,000 sold) as well as the ST series of single lever paddles, the Bencher Hex Paddle, the N2DAN Mercury Paddle, and the Bencher RJ series Hand Keys. Also included in the sale are the HK-1 Universal Hook-up kit and the YA-1 Low Pass Filter. Vibroplex has agreed to honor the manufacturer’s warranties of all covered products, and to offer parts and support for these products as well. Vibroplex will continue to offer the Bencher products through existing marketing channels. Vibroplex may be contacted at http://www.vibroplex.com, or at (865) 309-5073. Jere Benedict and Bob Locher wish to express their gratitude to the amateur radio community for its interest and support since the sale of the first Bencher amateur radio products in the early 1970’s." Tom Medlin, W5KUB, has been doing a webcast from the Dayton Hamvention for the past 13 years. Recently he also started doing a weekly show called “Amateur Radio Roundtable.” He will be interviewing Paul Huff N8XMS, via Skype about the NAQCC on next week's show. It will be aired this coming Tuesday, March 24th at 8:00 PM CDT (0100 on Wednesday UTC). If you are interested you can watch the live webcast at http://w5kub.com/ . The show will also be available in archived form for viewing at a later date. In other news - the bands still seem to be in a recovery phase after the big solar storm. The A and K indices are down and the 30 and 20 Meter bands are actually rated as "Good". In actuality, I wasn't hearing too much activity. 7QAA was present on both the 17 and 20 Meter bands, but was pretty weak. I did hear and work a strong ZF2UL on 15 meters. Hopefully, things will rebound even further for tomorrow, when I am home for the day. As in "What the heck?" I went out for another lunchtime radio session. 15 Meters seemed to be hopping, I heard CO2IR and worked him - he was 599. I listened to 9Q0HQ work his pileup (he was doing a magnificent job, by the way) for a while and then I decided to go up to the Watering Hole and call CQ for a while. I had a nice QSO with George WN4G near Tampa, FL and called CQ again after him. I was answered by someone who shall remain unidentified. The QSO was going smoothly. I gave him a 579, he gave me a 559. Then I did the unforgivable. I mentioned that I was using a KX3. "SRI DONT QSO WID QRP. GA ES 73 DE (call sign omitted)." - dead air. You answered my CQ. Obviously my signal was decent enough in your opinion to start a QSO. As soon as you discover I'm QRP (which technically is an assumption - I could have been home using my KXPA100), you QRT? And that's OK too - you don't like to work QRPers. I can respect that, I've run into that before - but "SRI DONT QSO WID QRP" and just leave ???? Obviously brief and to the point, but perhaps we could have been a wee bit more tactful? How about using the old telephone call excuse, or the "XYL JUST PUT LUNCH ON THE TABLE" excuse, or even "My cat just puked on the carpet" for crying out loud! Good thing is that it was time to come back into work, anyway. Does #10 look familiar ??? I did go out to the Jeep during lunch today, and no, the bands were NOT dead. But before I go there, I must digress. I was involved in a 2X QRP QSO on 14.060 MHz with Tom, KC9RXI in WI. He was about a 449 to me; and I'm sure I was no better to him, but we were having a QSO. I'm sure at times, that to people who may have been listening to the frequency, that it sounded like it was dead. All of a sudden, out of the blue, another QRPer started calling CQ/QRP on frequency! The call will be omitted to prevent embarrassment (but it is forever burned into my brain). Not so much as a single, solitary "QRL?" Yes, I am sure that both Tom and I were weak, but we WERE in the middle of a QSO. Coming on to a frequency, plopping yourself down and commencing to call CQ without asking is just - arrgh! And to top it off, the CQer was calling CQ DE WXXXX/QRP !!!! I'm sorry, but QRPers, above all Amateur Radio ops, should know better. No excuse - period. If he had sent "QRL?" waited for a bit AND THEN had started calling CQ on top of us, I may still have been annoyed, but I would have thought to myself, "Well, he just didn't hear us." Unfortunately, while Tom was trying to talk to me, I had to transmit "QRL. PSE QSY". He immediately QSYed (so he was able to hear me! ), but at that point I had lost what Tom was trying to say. Shortly after that the QSB went off the Richter scale and the QSO came to a premature end. The "meat" that I could have copied was drowned out forever by needless QRM. A bit after that debacle, I went to 12 Meters and tuned around for a bit. I heard 7QAA in Malawi quite loudly. He was loud enough to work - even QRP. I don't think I broke the pile up, as again there was a lot of QSB. If I had more time (lunch hour was running out) I'm pretty darn certain I would have worked him. This time I had the patience - I ran out of minutes. So , even with the G4 geomagnetic disturbance, Malawi was coming in the best I've heard them so far. Go figure. Luckily, the station will be on the air until early April and I'm taking a vacation day on Friday. I just may make it into their logbook yet! it's very active in other ways, too! Checking the E30FB log this morning, W2LJ does NOT appear. I have spoken too soon. I am 100% positive that they acknowledged me last night with a "TU". I guess they got my call sign wrong, and I just didn't catch it, and thus didn't correct them. There was QSB, so that scenario is not out of the question. Oh, well. The sun is still shining, the earth is still spinning and the birds are still singing and my dog still loves me. No E30FB in the log, but all is still right with the world. After trying on and off for days, I finally got E30FB, Eritrea in the logbook. I heard them fairly well on 30 Meters - loud enough to try. The W3EDP (at its new height) and 85 Watts were necessary to bag another All Time New One. In truth, they were about 579 at best. Not the loudest DXpedition I have ever heard, and QSB was pretty bad. But once I figured out their listening pattern, I got an answer after only a couple of calls. It's nice to see an antenna improvement pay off so soon. Now I'll have to pay some attention to working Malawi and the Congo. Those would also be ATNOs for me. Jeff KE9V tweeted this and I went and downloaded it. Very interesting reading and makes me appreciate the effort expended even more than I had, before. I am hoping to get out to the Jeep during lunch hour today, for what feels like the first time in decades. In reality, it's probably for the first time in about two months or so. We seem to finally be out of the pattern of polar vortices, with warmer air making its way back. The high for the day is supposed to be around 57F (14C), so sitting inside the Jeep and operating the radio would not be torture. I really miss these lunch time operations. Take this past weekend, for example. There was just so much to do, between playing chauffeur and other chores, that I was able to get on the air for about an hour or so. Well, that's not totally true. There was opportunity to get on the air for longer than that, but I do have to sleep some time! Having an hour to get on during the daytime may not fatten my logbook by that much, but it's still better than nothing. And if past practice holds true, then every now and then I should come across something exciting and juicy. The other good thing is that tomorrow night is the official last class of this Technician License class course that I have been assisting with. Next Tuesday evening is exam night, and after that, I have my Tuesday evenings back to myself. Not that I mind teaching, but it will be nice to be able to get back to the 40 Meter QRP Fox hunts on a normal basis (just in time for the season to end in early April). For the record so far, I am 17 out of 32 in the 40 Meter hunts and 21 out of 32 in the 80 Meter hunts. That puts me smack dab in the middle of the Hound pack, which is to be expected given my antenna situation. Among my circle of closest Hound friends, I am at the bottom of that pack - so much for their good influence rubbing off on me! Heh. Our team's teaching reputation and success rate must be preceding us, as mention has been made to me of yet another local town wanting a Technician Class held for their CERT members. If that comes to fruition, I will undoubtedly offer my time and whatever meager talents I possess, once again. I'm hoping for a couple month break, though. 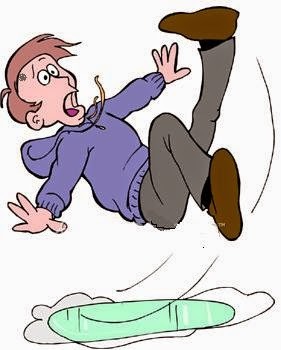 It's my humble opinion that if you're going to offer a license class, the best time to do it is either in the Spring or Fall. Winter comes with too many possibilities for postponements due to inclement weather. Summer brings vacation and family time, so classes really aren't practical then. No, if you're going to offer a class - offer it in either the Spring or Fall - those seem to be the best times. UPDATE - I got out at lunch time! It was a great feeling. 15 Meters seemed to be hopping with DX. Unfortunately, I was not able to make myself heard. I tried chasing S01WS on 12 Meters for a while (I have them in the log, but not QRP) and had no joy there, either. As a QRPer, you know there will be days like this. Some days you can't catch fish no matter how hard you try - other days, you catch the legal limit without even trying. There was enough daylight left after dinner to get my antenna chore done. I lowered the one end of the 88' EDZ and placed the W3EDP at that spot on the mast. I will lower the other end of the EDZ over the weekend if the weather is decent, but so far the forecast is for rain. Until then, I neatly balled up the wire and it is resting in a crook where a low branch meets the maple's trunk. That it's winter and there are no leaves in the surrounding vegetation made the task a lot easier. As posted previously, I had expected the ice layer to be a big problem. It wasn't. What was more of a problem were the spots where there's no grass. That soil is now mud, and it was more slippery than the ice! Twice, I planted a foot and felt it start to slide, like it had a mind of its own. I thought that I was going to end up like a cheerleader doing a split. And it's a very good thing that I quickly regained my balance, because if I ended up like the young lady in the photo, I'd probably be typing this from the hospital. The final test was to try it on the air. The KX3 was able to tune it on all bands without incident, and the first QSO was on 40 Meters with VY2BM on Prince Edward Island. A few hours later, I nabbed Tom KV2X in NY, who was one of the 80 Meters Foxes. Currently, the W3EDP is anchored near a peak on the side of our house - at about the 20' level. From there it heads on out to our maple in the back yard, where I have an insulator hanging at the 30' level. The wire goes through the insulator and makes about a 30 degree bend towards the mast at the other corner of the back yard. It is tied off at the 25' level. In a few weeks, when it's a bit drier and before the leaves begin to show, I hope to get that insulator up another 10 feet or so. My W3EDP will end up in an Inverted Vee type fashion going from 20' to 40' (hopefully) to 25'. Not your standard configuration, but we do what we can to make big antennas fit in very small suburban lots. It would be nice to be somewhere with lots of spacious property so that I can have a real antenna farm instead of an antenna flower box. Wishes are cheap though, and if I had a nickle for every time I've made a wish, I'd be a millionaire by now. The better thing to do is just be satisfied with what I have, which is a lot more than a lot of folks. There's a double edge sword to this Daylight Savings Time thing. Up until a few weeks ago, it was pretty light around the time I drop my son off at his school in the morning. With the resumption of DST, it has been dark again in the early mornings and now, it just starts getting light around 7:00 AM. This morning, I arrived home from dropping Joey off at around 7:10 AM. I went into the kitchen to pour myself a glass of water, when I happened to look out the kitchen window. "Why am I seeing ladder line? ", I thought to myself. I went into the rec room to look out into the back yard to see the end of my W3EDP laying on the lawn. 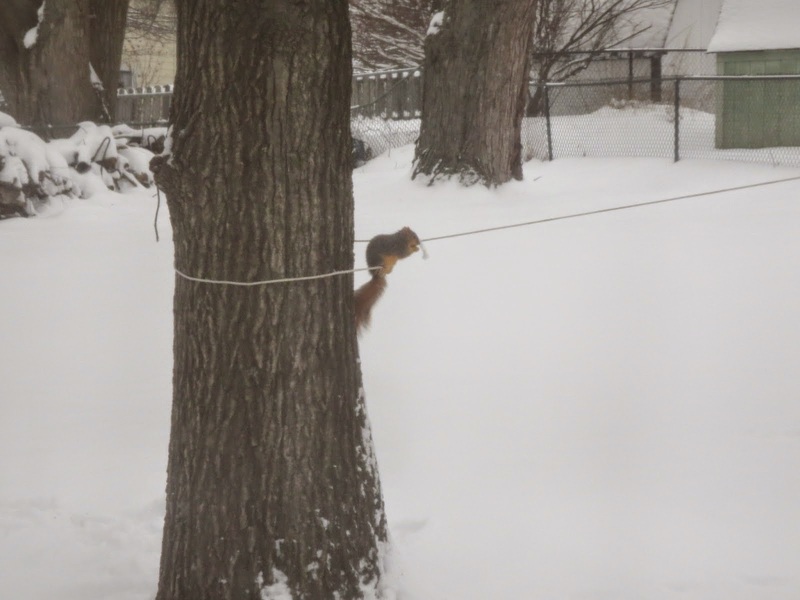 It appears that a ravenous squirrel chewed through the support rope. Looking at the remains of the rope, you can tell it didn't snap, and there was nothing that could have frayed it, at that spot. No, it was chewed. How long it has been this way - I'm not sure. It was fine last weekend, that I know. So, this unwanted gnawing has to have occurred sometime between Sunday evening and Thursday morning. The good news is, that it will still be light tonight when I get home from work, and (double bonus) I have a brand new 100' roll of Dacron antenna rope in the shack. I hope that I will have enough time this evening to get the W3EDP re-strung in either a temporary or perhaps even permanent fashion before the beginning of the 80 Meter QRP Fox hunt tonight. Since I was going to take down the 88' EDZ anyway, if I have enough daylight, I will try to lower the end that goes to my support mast in the far corner of the yard and replace it with the new rope that will be holding the end of the W3EDP. That will get it up roughly about 10 feet higher than it had been. I hope to get the apex even higher, but that might have to wait for a week or two as what I am going to try to accomplish tonight will be tricky enough. As the weather has been warmer the last few days, the snow in the backyard has melted and re-frozen into a solid sheet of ice. My chore tonight will be like trying to raise an antenna while walking on a skating rink. Fun. If you think today's pile ups are a zoo - just wait! As the Brooklyn Dodger fans used to day, "Wait till next year!" The David Sarnoff Radio Club will host a special event station on March 14, 2105 in conjunction with the Princeton Pi Day & Einstein Birthday Party that will be held in Princeton New Jersey. Einstein's birthday was March 14th the numeric equivalent of Pi! Princeton, NJ celebrates the amazing coincidence like no other city on earth! DSRC will join in celebrating this occasion with an amateur radio special event station. My only chance will probably be UHF/VHF as they're so close to me, but you might want to unleash your inner Mathematician and give it a go. Our Technician License class ran late. Normally, we get out around 9:30 PM or so, but tonight's class ran closer to 10:00 PM. As I was driving home, I was mentally debating as to whether or not I would even make an attempt in the 40 Meter QRP Fox hunt. I calculated that I would get home with about 10 minutes or so remaining in the Hunt - what were my chances? And it was a long day at work, then class - not much left in the ol ' gas tank after a day like that. But my competitive side wouldn't buy the excuses. I was itching to give it a try regardless. Then I hit a minor snag. It was a very rainy, foggy night tonight, and I got stuck behind someone who was frightened out of their wits by the fog and proceeded to drive at a pace that would make a tortoise seem like Speedy Gonzales. I got home with 5 minutes to go, ripped my coat off and ran down the basement stairs. I turned on the Astron and the KX3 - didn't even bother turning on the shack computer. I started at 7.050 MHZ and tuned my way down to the bottom end of the hunting ground at 7.030 MHZ. It was right around there that I heard Drew, K9CW calling "CQ FOX". And Drew was loud! 599+ loud! I called him and he immediately heard me. In fact, he said I was the loudest he has ever heard me! So far, the propagation Muse was with me and I had one pelt in my bag. With no time to spare, I started hunting for the "High Fox", who tonight was Randy NC4RT. With a minute to go, I found him, also calling "CQ FOX". One call later, he was coming back to me. Second pelt in the bag, within minutes of the first, both nabbed with less than 5 minutes to go. Sweet! Sometimes, it's better to be lucky than good. Tonight I was lucky and the Propagation Powers That Be assisted me, rather than fighting me. And, very importantly, we had two excellent Foxes on duty who have tremendous sets of ears. Should I do this more often? It was fun and exciting, but to be honest ..... I'd rather not. The forecast for the ride home tonight is snow, sleet and freezing rain. That most wonderful of combinations. W2LJ is in the 6-12 inch area. So it appears that we are looking at some kind of significant snowfall according to two different forecasters. I am hoping this will be Winter's "last hurrah" as Spring is only 2 & 1/2 weeks away, and I want to be able to get out there and do something to replace my 88' EDZ - even if that means just getting the W3EDP higher. Looks like I am going to run out of time in order to attempt a QRP QSO. For me, as well as for many others, this was an ATNO (All Time New One) so it was most important for me to just get them in the log. On 10 Meters, they were 599 and I was so excited to stumble across them that I didn't even consider trying QRP. And I literally stumbled across them. I was twiddling across 10 Meters when they rose up out of the blue - an instance of being at the right place at the right time. Two days later, on 12 Meters, they were only about 559. I tried QRP there, but after a couple of hours as they were beginning to fade, my resolve failed and I switched over to 85 Watts to nab them on another band. The DX bug seems to have bitten me hard lately. I like getting these new ones in the log and I feared that without the KXPA100, that this one might have eluded me like FT5ZM, Amsterdam Island did last year. I didn't have the KXPA100 for that DXpedition and totally missed out, unable to break the pileup, even though I put many hours behind the key on that one. A valuable DX lesson was learned there that will always be with me. The beauty thing is that, even though I had to use 85 Watts to get them in the log, QRP discipline and the lessons learned from being a QRPer stood me in good stead. Knowing how to find the pattern, knowing when to call, and most of all - doing a lot of listening were valuable lessons learned and are now precious tools in the QRP/DX tool belt. I saw it posted to QRP-L and is also appearing on the Web page for QRP Kits, that Doug Hendricks has sold the business. The new owners will be James Bennett and Kathy Long who own Pacific Antenna. For those of you who might not know, Pacific Antenna is the home of the PAC-12 antenna, a very popular portable, lightweight multi-band vertical. The target date for the takeover is April 1st. It states that Doug will continue on as a consultant, but has decided to fully retire and will no longer be involved in the day-to-day operations of the company. This is significant news and Doug has long been an advocate of bringing affordable, relatively easy to build kits to the QRP community. He has collaborated with Steve Weber and others in recent years to market such radios as the PFR-3, the Ft. Tuthill transceivers, and many other receivers, tuners, and useful accessories as well as pieces of quality, yet inexpensive test gear. Best wishes to Doug KI6DS, as he embarks on his retirement. Maybe now he'll get more of a chance to get on the air more and enjoy the hobby he has supported for so many years. On a similar note, when Dave Benson K1SWL ended his business, Small Wonder Labs a few years ago, it looked like a gloomy day for the QRP world. However, many of Dave's kits have been picked up by QRPMe and now I see Dave post to QRP-L every now and then about radio events that he is actually able to participate in and enjoy. So we have the best of both worlds in that these long time QRP stalwarts are passing the torch to the next generation of QRP entrepreneurs. Not only are we not losing their life's work, but at the same time, we're actually getting the chance to meet and converse with these QRP icons on the air. Seems to be a win/win situation.